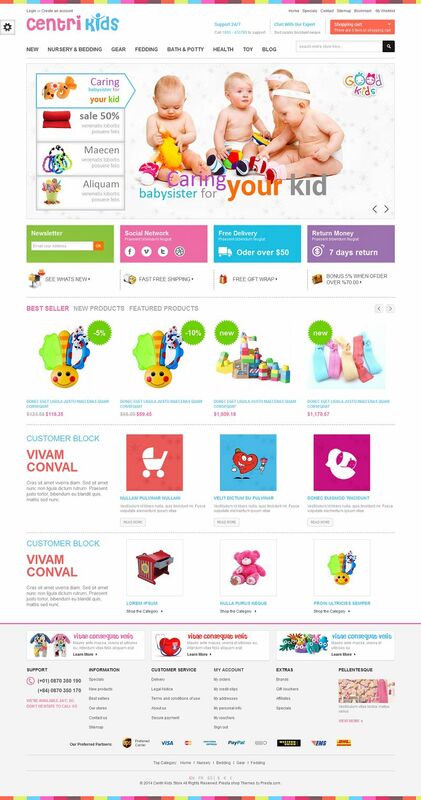 CentriKids is a colorful and fully responsive Prestashop eCommerce template suitable for kids store, gift shop, etc. It gathers all essential features to be a frequent re-visited eCommerce site of the parents. Color and textures are skillfully combined to deliver a quality shopping for both parents and kids. Slideshow with large image, nice transition, and amazing economic effects for promotional content makes your store more eye catching. Product widgets being shown in carousel effect, makes the website superb clean and extremely informative.